Concrete Designs Ent., LLC has been family owned & operated since 2002. CDE’s award winning designs, top of the line materials and professional service is unsurpassed. Here at CDE we take pride in our reputation. We know that it is our strict commitment to the way we do business, our integrity toward clients, and our professional customer service that has earned us the trust of so many. It is because of that trust we are uncompromising from the beginning of our materials selection through the finishing process to ensure the resulting quality of our decorative concrete lasts for years to come. Jesse Barber's attention to detail, combined with his artistic craftsmanship helps make CDE the decorative concrete specialists they have become. We understand that you have questions and concerns as well as a variety of requests to make your project unique. We will take the time to answer all of your questions and concerns. Through training, experience, and intuition, using science as much as artistry, we are continuously refining our core products and innovating new alternatives to better serve our customers. Whether you are looking for a subtle old world feel to your basement or for a custom formed countertop, CDE’s Team can transform your ordinary concrete into your new favorite living space. We welcome the opportunity to earn your business. Regardless of your project size, location, or what your budget may be we hope you will Call or email us to and allow us to walk you through the options for you. To us Decorative Concrete is more than just a job it's our passion. CDE Rocks! 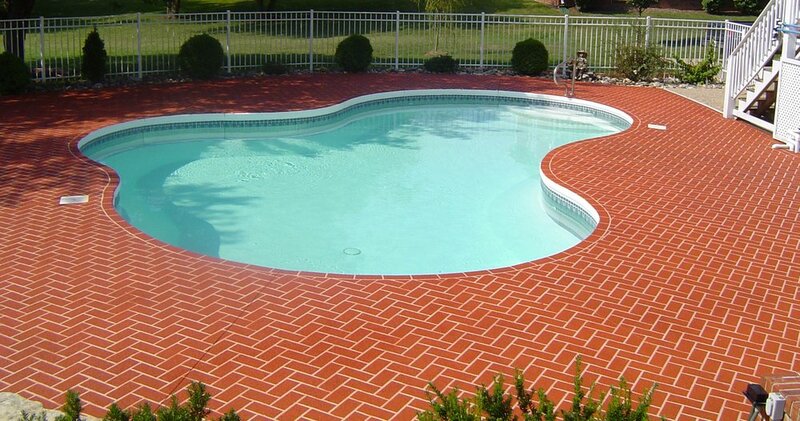 CDE did our pool and patio with one of their design overlays. From start to finish, their impeccable attention to detail, quality of material and workmanship was obvious. Second to none. We are so satisfied that we are adding a new look to our garage and front porch. CDE is truly a great company. Did I mention… THEY ROCK! CDE did such a stunning job on garage floor of a home that I was building that I have made them my fist choice. The communication is superb. Distinctively, Jesse calls me before I can call him about the job status. The reaction that I receive from home buyers and other associates is their testament. Great quality and service.